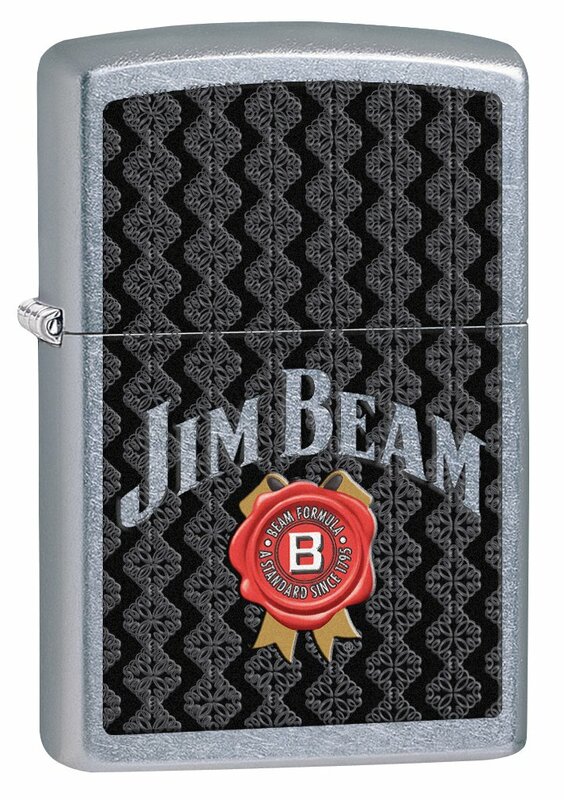 Officially licensed Jim Beam Zippo windproof lighter is a great ice breaker at any Happy Hour. Rugged street chrome finish displays the familiar logo and seal of one of America’s favorite spirits brands. Refill with Zippo premium lighter fluid for dependable, long-lasting service. Distinctive bottom stamp identifies this lighter as genuine Zippo. Packaged in an individual gift box with Zippo Lifetime Guarantee.